I recently started a new Bible study with my small group of gals. 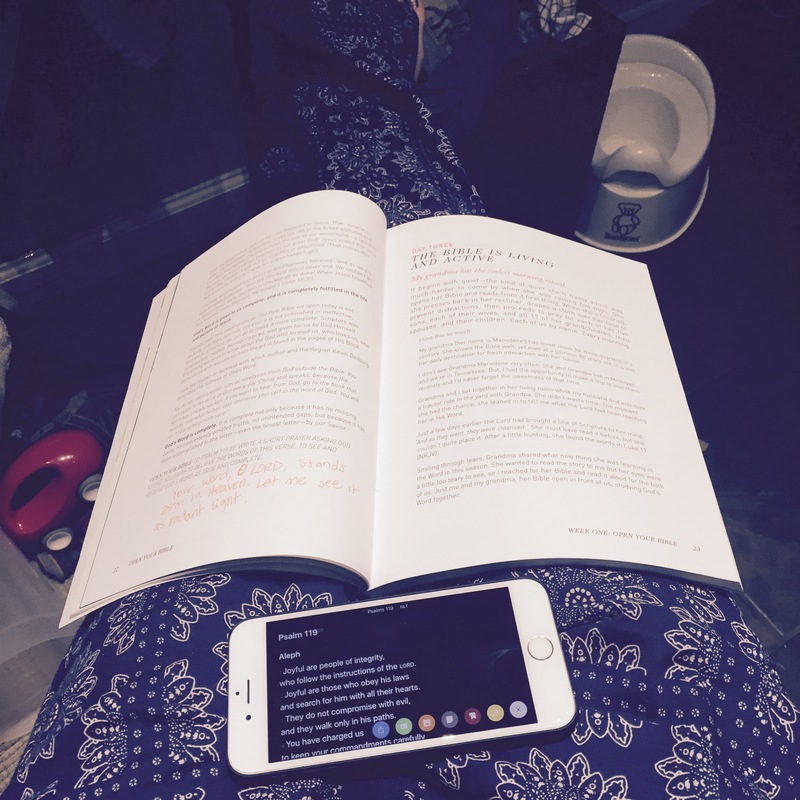 I confessed that my quiet time was inconsistent and I found myself having to fit it in when I could. I have a great excuse: A young child. 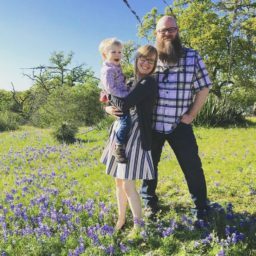 I also confessed in the midst of my busyness I could wake up 15-20min early or my husband has even offered to occupy our kiddo so I can do my Bible study. Truth be told, I just don’t want to wake up earlier and if I have 30 min of alone time I would rather take a nap. Sounds awful, I know. But maybe it’s not. I read my Bible in bed when I am waking up, at the breakfast table on Saturday mornings, and in the bathroom during busy weeknights. I’m not alone. Ever. My life is basically on display. At least for my three and a half year old. It really hit me when my niece, 4 and my nephew, 8 spent the night. I put cereal in the breakfast table, invited them to eat and picked up my Bible study. Then, my niece said the sweetest thing, “Miss Becky at school has a Bible. I want one too.” Miss Becky is the principal’s secretary. My niece has either been in a decent amount of trouble, or sick a few times and sat waiting in her office enough to notice Miss Becky’s bible. And want one. Yes, it’s a Christian Preschool, but she noticed and it stuck with her. Maybe she read to her from it, maybe not. Either way I stopped what I was doing and grabbed her a small Precious Moments Bible I had actually been saving for her for Easter. 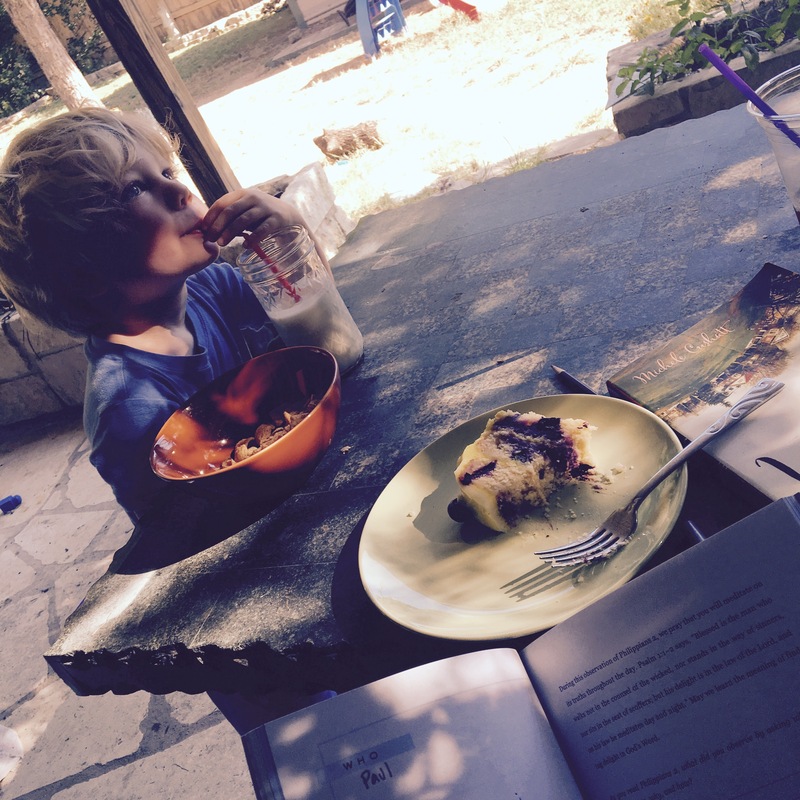 Together we had Bible study in my noisy breakfast table as my nephew munched on cereal. If we want others to see Jesus, maybe our quiet time doesn’t have to be done in quiet or isolation. Maybe The Spirt of God can speak to me as I sit on a toilet reading the Word with a tub splashing preschooler beside me. My season isn’t quiet. God can still speak in my current context. And perhaps the next breakfast table Bible study I have, my sweet Little One will join in. I’m not alone. And it’s not a bad thing. Even with the freedom of summer, my season hasn’t gotten much quieter. I have a few mornings that I end up waking up first, and getting an hour by myself to read and reflect. But in general, I spend the morning drinking coffee on my porch, reading with frequent but adorable interruptions. It’s not the ideal “summer camp” version of a quiet time, but it’s purposeful and refreshing. I’m still not alone. And it’s a beautiful thing. On the porch in summer. Coffee, cake, with my little one and Jesus. Just beautiful!